The complete close-up lighting system in a box for product photography. Excellent light control using LED lamps. Standard camera screw fixing with adjustable mounting plate. The DIB-1210N Digital Light box has one switch that lights the back and front panel of the box. The box uses LED lighting. It also has a Sparkling light to provide a constant light source for digital jewellery photography. The door opens and using magnetic stoppers to stay on when shooting from top down. The door flap will also completely detach from the box. Once the camera (not included) is attached to the top bracket it is able to move up, down, left, right, backward and forwards. 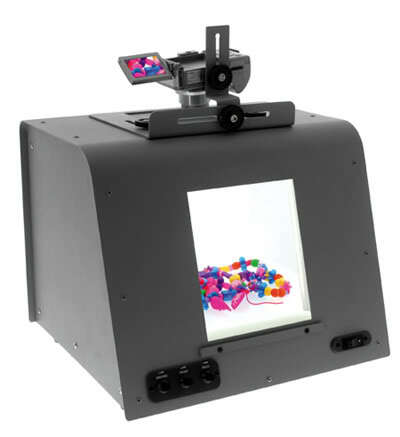 The complete close-up lighting system in a box for product photography. Excellent light control using a CCFL. Standard camera screw fixing with adjustable mounting plate.A picture is worth a thousand words, especially in the retail industry. Quality photos can mean the difference between making a sale or not. Whether you use photos for advertising, catalogues, or sell on the internet, natural wrap-around lighting is the key to bringing out the best in your jewellery or small items. 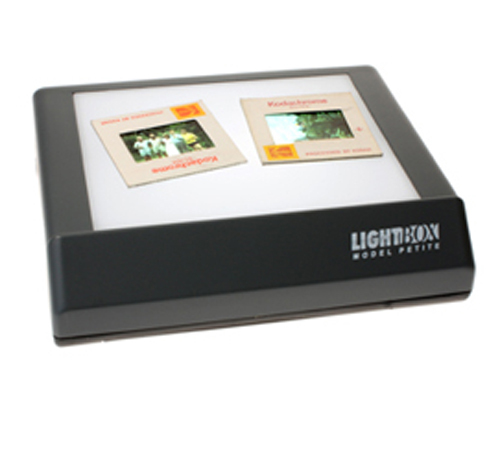 The DIB-0806 Digital Light box has one switch that lights the back and bottom platform of the box. The box uses fluorescent lighting and so does not give off any heat. The door opens and using magnetic stoppers will open to 2 defined angles. Once the camera (not supplied) is attached to the top bracket it is able to move up, down, left, right, backward and forwards. 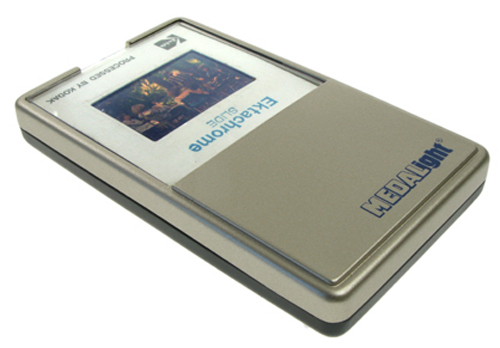 Deciding which slide viewer to buy? May also be powered with an alternative (optional) power source. There is also another alternative and that is to use a light box, or also knows as a light panel. 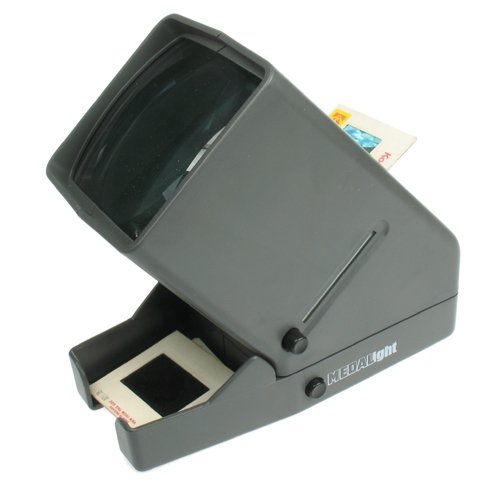 This provides a bright daylight fluorescent lamp and you can place individual slides or even strips of negatives to easily view them. 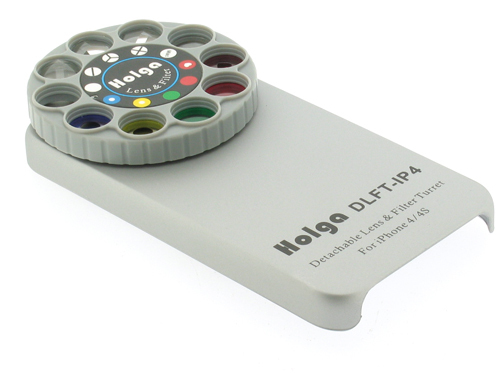 Holga make various lenses for use on their cameras and one popular type is a pinhole lens. Pinhole photography is an art in itself and experimentation is needed to get it right. 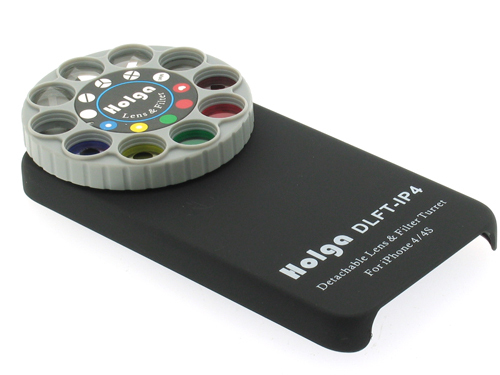 First I should explain what a pinhole lens actually is. To describe it as a ‘lens’ isn’t strictly correct because it contains a pinhole aperture measuring 0.25mm (that’s a quarter of a millimetre) and no actual lens inside. Also, no focussing is necessary. 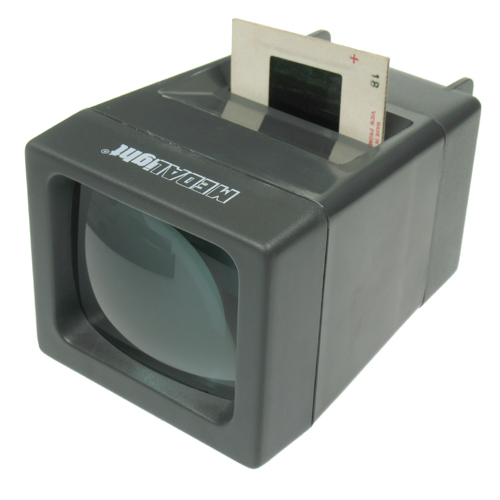 There are no electronic contacts so when you mount it on your digital camera it will display an error message saying that the lens hasn’t been detected. It’s a fixed aperture, so all you need to consider is setting the shutter speed. I’d also set the ISO speed to 100. To obtain the best results, mount the camera on a tripod and set the camera manually on a slow shutter speed. 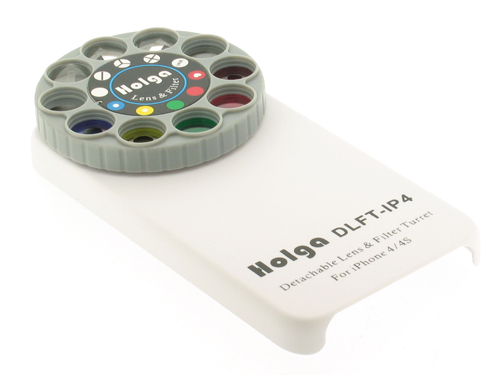 It will involve experimenting and taking several shots, but that’s part of the fun of using Holga lenses. In bright conditions, start with setting the shutter speed to around 0.5 (½ a second) and gradually increase or decrease the speed to obtain your desired result. Remember that a tripod is essential for very slow shutter speeds. I would also recommend that you set the self timer with a few seconds delay, because the camera is likely to move slightly when you press the shutter release button. A multi-functional system performance & optimization suite. Protect, update and optimize your PC in single-click. I was particularly impressed with the check for missing and outdated software drivers. It not only scans and identifies the drivers that need to be updated, it automatically installs them as well. I was recently asked to take some photos of various coloured foils to be used as a product on a web site. The final image size should be 600×600. I usually have my camera set to 1600×1200, to give a reasonably high resolution. However, when the image was reduced to 600×600, too much detail was lost. The following 600×600 image included more detail and the image quality still looked good. The lesson learnt was to set the image size on the camera in order to obtain as much detail as possible. The other thing to consider, knowing that the ultimate image should be square is to arrange the items to be photographed with a blank area on either side and then resizing and cropping shouldn’t be an issue. This final image is 600×600 with a blank area at the top and bottom, but the objective was achieved and included as much detail as possible, so it’s wise to consider setting the camera correctly before embarking on such a project!